There are tens of thousands of commercially available mental health apps on the market, many hugely popular. But how do these apps portray mental health and how does this suggest mental health problems should be managed? Research led by the University of Sydney aimed to identify how the advertising materials for popular mental health apps frame mental health, and what the apps offer around diagnosis and management. They assessed the advertising material of 61 prominent mental health apps available in the USA, UK, Canada and Australia during late 2016, focusing on apps that explicitly referenced mental health diagnoses or symptoms and offered diagnosis, guidance or made health claims. Two dominant messages about mental health were identified: poor or fragile mental health is ubiquitous and individuals can easily manage their own mental health problems with apps. Published in the Annals of Family Medicine today, the research extends work by the University of Sydney's Charles Perkins Centre's Evidence, Policy and Influence Collaborative, and was conducted with the University's School of Pharmacy, Western Sydney Local Health District and University of Adelaide. The findings are cause for concern for a number of reasons says lead author Dr Lisa Parker, a Postdoctoral Research Associate with the University of Sydney's Charles Perkins Centre and School of Pharmacy. "Implying mental health problems are present in everyone promotes the medicalisation of normal states," Dr Parker said. "The apps we assessed tended to encourage frequent use and promoted personal responsibility for improvement. "The idea that the normal ups and downs of everyday life need treatment could drive use of these apps by people with minor concerns. These users are unlikely to get any significant benefits but may receive large time burdens and potential loss of privacy. "It might be useful for these people to hear alternative views about what constitutes normal psychological experiences in order to prevent overdiagnosis. "At the same time, people who have severe mental health issues may be helped by GPs or mental healthcare workers' discussions around the limitations of app use and the importance of seeking additional forms of supportive health care where needed." Senior author Dr Quinn Grundy, from the Charles Perkins Centre and Faculty of Pharmacy, agreed that healthcare professionals had a responsibility to counter some of the messages these apps promote. "The smartphone is one of the most powerful tools for communication and apps have the potential to increase users' social supports. Yet popular mental health apps focus largely on individual self-help solutions and personal responsibility. This creates a great deal of silence around external and social factors related to mental health," Dr Grundy said. "For people with serious issues, we are concerned the expectation that they can and should manage their mental health problems themselves could effectively deny the need for social supports." The study found that apps' advertising materials portrayed potential users as mostly employed, white and in a family. Dr Parker expressed concern at this finding. "It's possible the lack of diversity in representation of users and stressors could alienate people with serious needs," she said. The research was funded by a research grant from the Australian Communications Consumer Action Network (ACCAN), the peak body for consumer representation in the telecommunications industry. 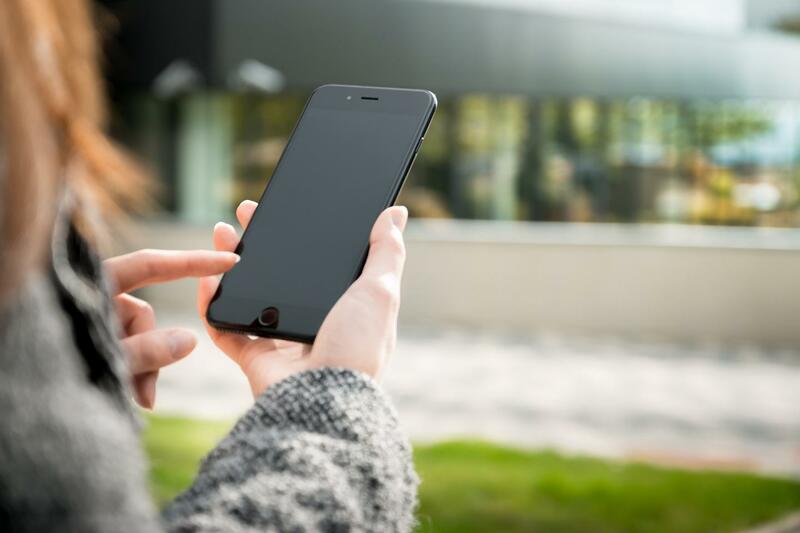 It forms part of the 'Finding Peace of Mind' project to analyse prominent mental health apps available to Australian consumers and the existing laws and policies that regulate them. The researchers had full autonomy over study design, data collection, analysis and publication. ACCAN grants and research officer, Tanya Karliychuk, said: "Like many apps, mental health apps operate in a largely unregulated space, where understanding the true 'cost' of an app is difficult for the consumer. On top of the health concerns identified, this study found serious problems with the way consumers' data was being collected, stored and shared."